I really like it! My kit is arriving today! love the layers and that painted background is fabulous! 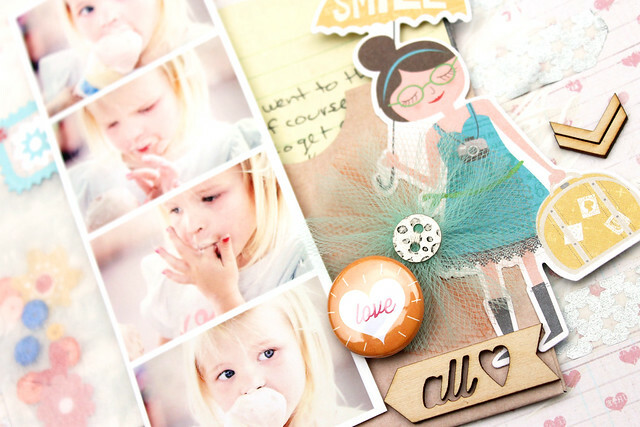 I love that you did a photo strip..such a cute layout and little girl. Absolutely lovely. It is so gentle and soft. I love the look. I just became a follower - what a gorgeous layout!!! :) Looking forward to looking through your recent posts for more inspiration! Look at that adorable face!! 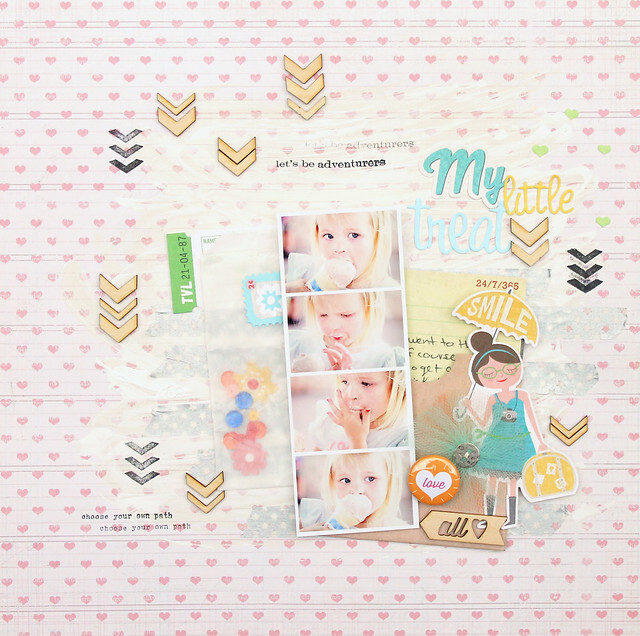 Such a cute layout! Beautiful! I love the combination of the white paint and the black stamping! Thanks for the inspiration! FABULOUS!! I love how you used the wood veneer!